This was such a fun challenge! Great pics! Delicious! Looks like Chinese dumplings. Congratulations on your challenge. There certainly are a lot of filling options out there! I bet there is one out there that you will love:) Personally, I love sauerkraut ones....I hope you find one you love too! Great photos! Bet your pierogi were delicious with your fresh garden basil. A cabbage filled pierogi is on my list too. I grew up on homemade pierogi and they are very challenging to make. Yours look very authentic! I bet they were delicious. My personal favorites are sauerkraut and just last week, I had the chance to try spinach pierogi that were delicious. Great job, Lara! I love pierogi! But honestly, Mrs. T's don't count. They're nothing like the real thing. I'm sure you noticed that when you made these from scratch! 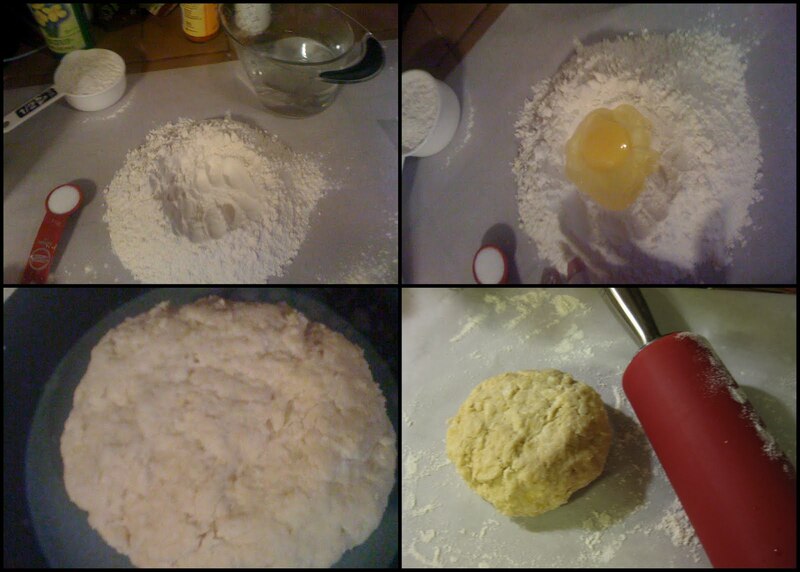 When I make them, I roll out the dough and cut of squares, place the filling inside and seal them up. 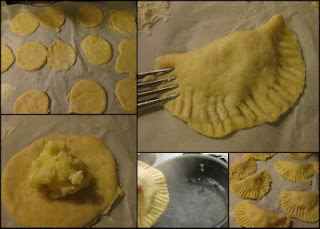 For more rustic-looking, less hassling pierogi, I suggest skipping the round shape and crimping... I love boiling them and then sauteeing them with onions. Potato and cheese filling is definitely my favorite. Great job on the challenge!